I love these cookies and cant wait to make some. Thanks for sharing the recipe. Easy is my way of cooking!!! 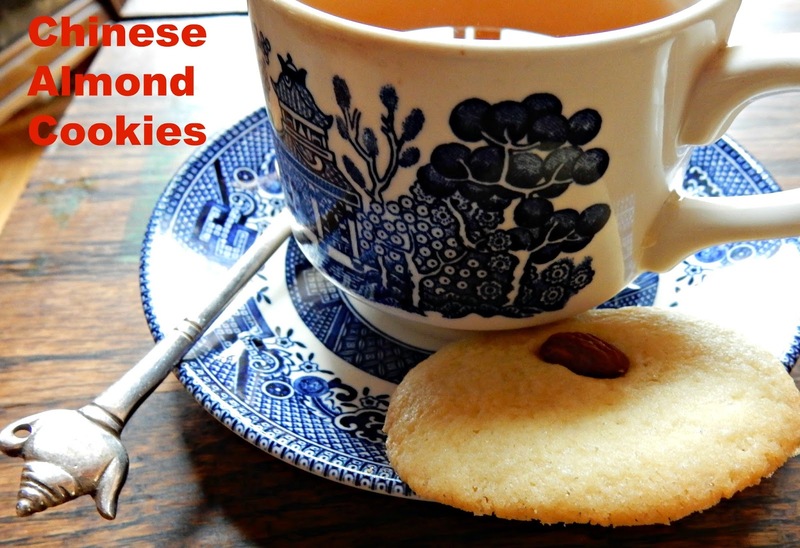 These made me think of a almond shortbread a great aunt used to make. They were shaped into cresents. I may try these out soon!Have a bake sale Wednesday I need to send something to. I like peanut butter cookies best. I believe that would be Midnight Espresso Crinkles! Dat is de moeite waadr om even voor in de keuken te staan. Those sound yummy. I'm glad you ended up bringing them to his class, better late than never! I write the corporate employee newsletter for the company I work for and I get it translated into Spanish and Chinese. Let me know if the kids are ever covering China again...I've got connections if you want something written in Chinese to show them. Oh, my favorite is chocolate chip. Looks like something I want to try! Your learning objectives for that age group there in your schools are a lot different than the same age group down here. We'd probably get more mileage out of teaching kids more about the outside world, but they don't really get much of that in elementary school under our state curriculum. I guess I like any really soft cookie that I can have with my coffee. I am guessing because I haven't had a cookie in ages. Those do sound really good! I like Chocolate Chip Cookies the most. I love ones that have oatmeal in them. Oh, now I would like these!! We wish we had some!